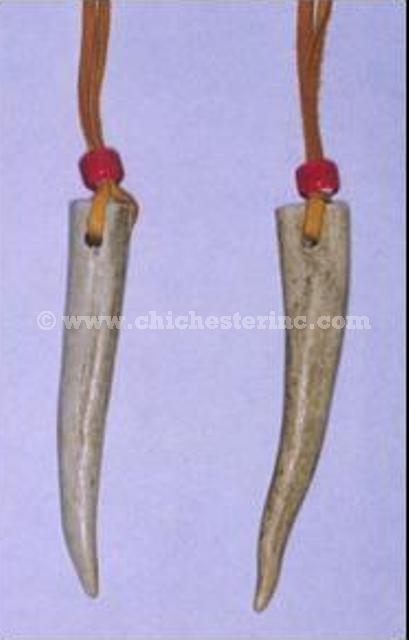 The 1-Antler Tip Necklace is decorated with a glass crow bead on a 32" deerskin neck strap. The 3-, 5-, and 10-Antler Tip Necklaces hang on a 32" deerksin strap with brass beads. Lengths of the antler tips range from 1" to 4". For other Deer Antler products, click HERE.